Multifunctional EMZET tents stand for an extremely wide range of solutions for every occasion. We have construction with an internal and an external frame as well as in many shapes: square, rectangle, hexagon. Standard sizes range from 3m to 7m. Along with an interesting colouring and professionally designed and constructed graphic we are able to face the most ambitious chellenges. 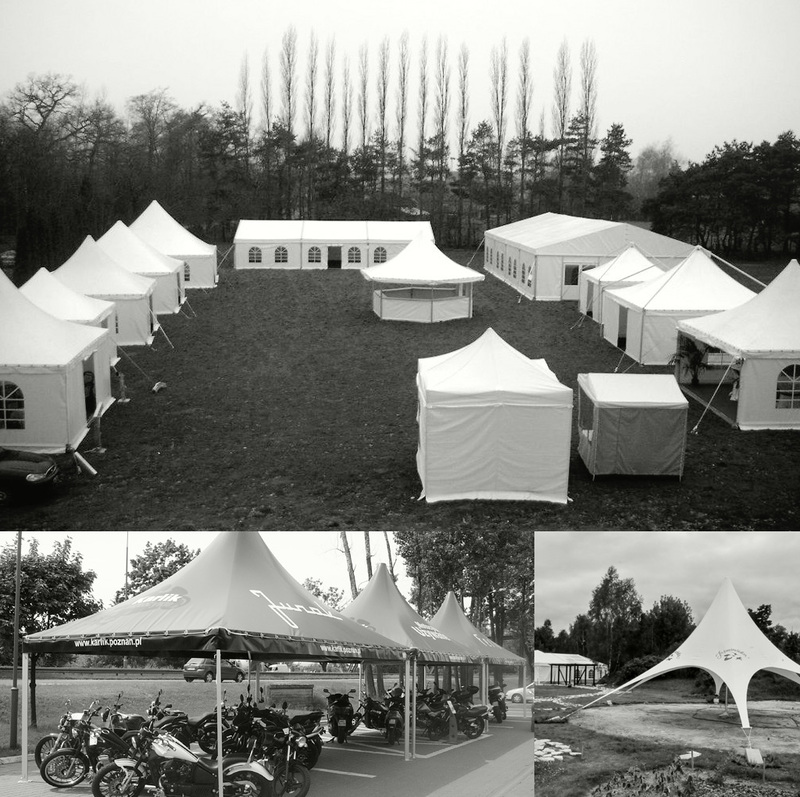 As a party and event tent manufacturer we perfectly know what facility a customer needs. Our multifunctional tents are perfect for a variety of parties, sport competition events and fairs. Big marquees can be successfully used as fair booths, promotion stands or catering points. Many outdoor exhibitions in Poland and abroad owe its unique colour and character to our design and composition. Your idea, our design. We can help you create an unusual roofing, an original facility or increase a reatil space without arduous formalities. We design according to our customer’s expectations and needs. Our custom design tent constructions are highly appreciated by the clients who value uniqueness and originality. As a manufacturer with years of experience we guarantee the highest quality and we are the choice of a growing number of customers. Make maximum use of the smallest areas without any additional support or interior cables installation. Our market stalls are durable and highly aesthetic. They are aslo mobile and easily assembled and can be developed or covered with colourful printed advertising graphic. Unrivalled quality at a competitive price and short implementation time. All our production is a subject to an internal quality control system so that the product meets the EN-PN 13782 standard. © EMZET Namioty Sp. z o.o.